Coryn Rivera (Sunweb) has won the second stage of the OVO Energy Women's Tour. The American showed to have the better legs for the finale by crossing the finish line centimetres ahead of Marianne Vos. The second stage of the British race took the riders between Rushden and Daventry over a 145-kilometre route with a hilly profile. BTC City Ljubljana's Maaike Boogaard attacked in the first 20 kilometres and reached a gap of more than four minutes with the peloton. Behind, a pack led by Sunweb worked hard to reduce the gap and caught the Dutchwoman with 89 kilometres to go, but at the end of the stage, she got the Combativity award. With around 30 kilometres to go, Elisa Longo Borghini (Wiggle High 5) and Katarzyna Niewiadoma (Canyon-SRAM), increased the speed and managed to create two groups in the peloton. The 40 riders were caught in the last kilometres but during the last climb, the pack broke again. 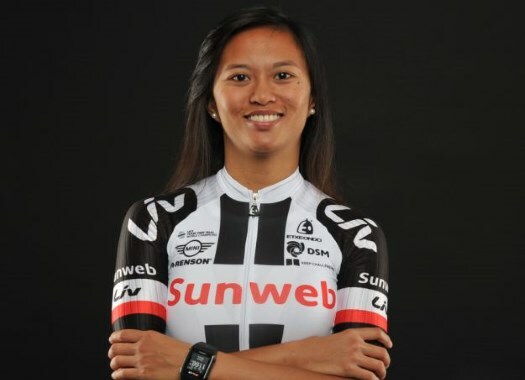 Sunweb's Coryn Rivera showed once more her good form and took the stage victory by crossing the finish line just ahead of European champion Marianne Vos, taking also the lead on the General Classification. Christine Majerus (Boels-Dolmans) was third on the day.